“The growth we’ve achieved over the last four years in this program is an incredible testament to not only the success of our partnership with NAF but the real-world, critical skills the Lenovo Scholar Network offers to NAF students." Lenovo and its nonprofit partner focused on high school STEM (Science, Technology, Engineering and Math) education, NAF, announced that 68 new NAF academies have been selected to join the Lenovo Scholar Network for the 2017-18 school year. This brings the number of NAF Lenovo Scholar Network academies across the U.S. to 118, serving 5,000 students in 21 states. The Lenovo Scholar Network, now in its fourth year, provides comprehensive STEM education and mobile app development opportunities to underserved high school students across the nation. 57 of the 68 academies joining the Lenovo Scholar Network this school year will offer mobile app development to students for the very first time. NAF and Lenovo initially announced the expansion of the Lenovo Scholar Network earlier this spring with the news of a $1 million grant from Lenovo. The grant provides funding and Lenovo technology over the next three years for select NAF academies and opens the Lenovo Scholar Network program to all NAF academy themes – finance, information technology, health sciences, hospitality and tourism, and engineering – with the goal of advancing STEM education and opportunities to more than 10,000 additional students over the next three years. 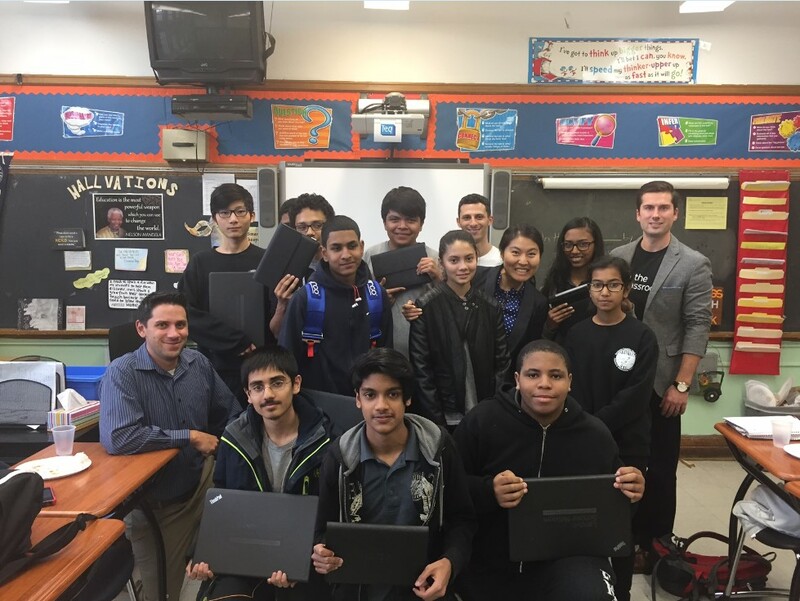 New Lenovo Scholarship Network partnership benefits include allowing students to earn NAFTrack Certification credit, part of Lenovo’s commitment as a NAFTrack Certified Hiring Partner, and expanding engagement opportunities with Lenovo, including Lenovo in the Classroom volunteer events. The 68 Academies that have been invited by NAF to join the Lenovo Scholar Network beginning in the 2017-2018 academic year can be found at http://lenovoscholars.com/participants/. To learn more about the Lenovo Scholar Network and follow along with students’ app creation journey, visit www.lenovoscholars.com or check out #LenovoScholars on social media. “The growth we’ve achieved over the last four years in this program is an incredible testament to not only the success of our partnership with NAF but the real-world, critical skills the Lenovo Scholar Network offers to NAF students. We are thrilled to welcome all the new academies and their students to the Lenovo Scholar Network and continue the important work of cultivating the next generation of developers and entrepreneurs.” – Rob Cato, executive director, Public Sector, Workstation & OEM Sales at Lenovo. NAF is a national network of education, business, and community leaders who work together to ensure that high school students are college, career, and future ready.